According to all the women we spoke to. 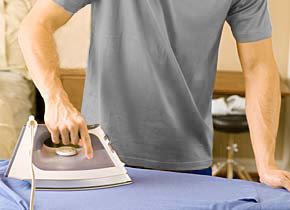 Justin-Harvey.com provides fashions that require very little ironing, but some ironing goes a long way. A man who steps out of his house looking sharp and wrinkle-free lets the world (and the female population) know that he not only has thought and cared to invest a bit of time into getting dressed and also that he cares about his appearance. Women respect the effort that goes into looking your best.